Cambodia broke ground Friday on a $2 billion Chinese-funded expressway -- the country's first -- as strongman premier Hun Sen denied his country was in danger of becoming a colony of Beijing. Once complete in 2023 the expressway will connect the capital Phnom Penh to Sihanoukville, a southern resort and seaport that has become a honeypot for Chinese gamblers and investors. The near 200-kilometre (124-mile) road is being constructed by the China Road and Bridge Corporation and is a part of China's ambitious Belt and Road project. "This road will cost around $2 billion... this is a tremendous project," Hun Sen said during a groundbreaking ceremony in Kampong Speu province, adding the expressway is "the first one" in Cambodia. But he defended the Chinese investment. Critics say "China is colonialising Cambodia... although China wishes to control Cambodia, Cambodia will not let it do so," Hun Sen said. Chinese Vice Foreign Minister Kong Xuanyou, who attended the ceremony, also brushed off concerns over Beijing's influence. "Some groups with ill-will have turned white-to-black, colouring Chinese investment as a trap," he said through a translator. "In fact, the Chinese investment is not a trap, it is not even a threat, but it is a help" in Cambodia's development, he added. Beijing's communist rulers have lavished the poor but strategically useful kingdom with aid and loans. 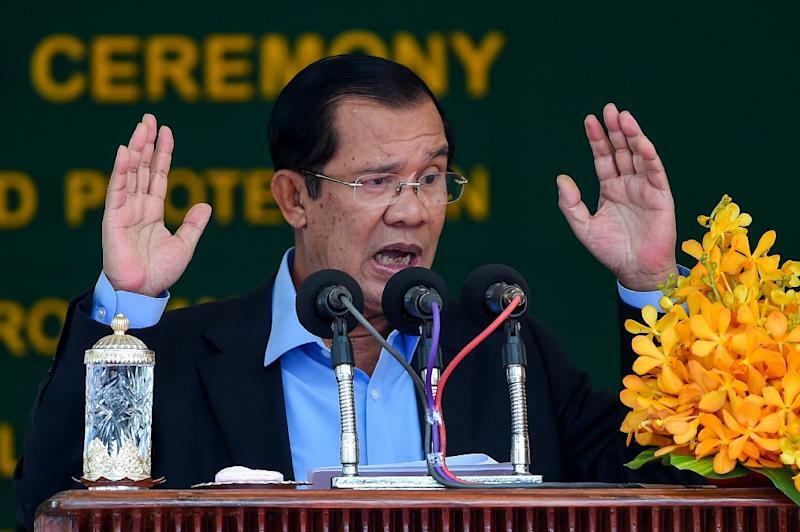 Hun Sen regularly praises Beijing's "no strings attached" aid, compared to help from the United States and European Union, which is often accompanied by calls to address corruption and human rights abuses. The largest investor in Cambodia, China has pumped billions of yuan into the economy. Hun Sen has also repeatedly denied rumours that a Chinese naval base is set to be established on Cambodian soil, giving ships ready access to the disputed South China Sea.